Then that begs the question: what’s the difference between these three? Users are the number of unique individuals that visit your site. You have a time period of let’s say, one month. The number of “users” in that month is the number of unique individuals who visit your site. We don’t care how many times the same person comes back or how many pages they visit. All we care about is the number of different people who visit. Person #1 comes by and visits three pages on your site today. Then, tomorrow, that same person comes by and visits two more pages. Then, a week from now, they come back and visit one more. All of that adds up to one user. Even though they visited multiple pages, it was all done by one single individual. When we’re looking at users, that’s all we care about—the unique individual. So then person #2 comes by and visits four pages. That’s another one point, giving us a total of two users now. Determining the number of users is like counting the number of people at a party. You don’t care how many times each person goes back to refill their drink, or how many times a person steps out to use the bathroom and then comes back, because we’re not looking at what they’re doing or what their activity is. All we’re looking for is a headcount. How many people showed up to the party over the course of the evening? Pageviews are the number of times your pages get a “hit”, regardless of who’s doing them. In some ways, pageviews are the opposite of users. User are all about the unique individuals and we don’t care about what they’re doing. On the other hand, pageviews are all about the actions and nothing to do with the people. Person #1 comes by and visits 5 pages of your site. Person #2 comes by and visits 2 pages. Person #3 comes by and visits 1 page. Person #1 comes back and visits 3 more pages. That’s three different users, right? But how many page views? On page views, we care about the number of overall hits. We don’t care who does them or if they’re done by the same people. We just add up the hits. In this case, that’s 5 + 2 + 1 + 3, which equals 11 pageviews. Sessions refer to individual browsing “sprees” without interruption. As soon as someone visits your site, a session begins. Sessions don’t track how many pages the person visited or what they’re doing, they only track the period of activity. This one, single session will continue until the person is inactive. By default, the required period of inactivity is 30 minutes. That means the session will keep going until the person is inactive for 30 minutes (which might suggest they’ve left your site or are no longer browsing around). Person #1 visits your site. This triggers the beginning of the session (one session). They browse a page, read for 2 minutes, click to another page, read for 3 minutes, click to another page, then they leave. As soon as they stop navigating around, the counter starts. If 30 minutes go by and the person hasn’t clicked around the site any more, that triggers the end of the session. So this session #1 is officially over. Then, two hours later, Person #1 comes back. This triggers the beginning of the session (session #2). They browse around for 5 minutes, then they stop. But 20 minutes later, they click to a new page. Since 30 minutes haven’t gone by yet, this session is still active. But after reading one more page, they leave completely, so we start counting back from 30 minutes again. Once 30 minutes of inactivity have elapsed, session #2 is officially over. Sessions don’t differentiate between unique individuals. They only count the number of sessions, regardless of who’s doing them. So, building from our example, if Person #2 (a totally different person) stops by, that triggers the beginning of session #3. We don’t start back from 1 because it’s a different person, we keep counting from where we left off. This is because sessions don’t care about different people. They only track the long periods of browsing, regardless of who’s doing them (whether they’re the same person or different people). 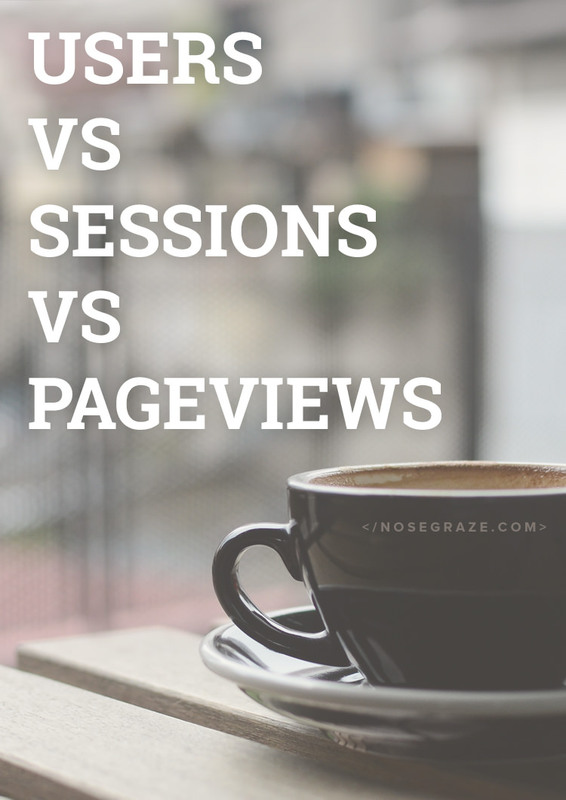 Have you ever been unsure of the difference between sessions, users, and pageviews? If so, did this help you understand them better? This has to be the single best non techy explanation of this that I have every read. Thank you for making it so simple to understand. You’re very welcome! 😀 I’m so glad it was clear. Oh!My!God! Thank you for writing this post. I’ve had a note to figure out what the heck these things mean since the beginning of the year. Now I know and can make sense of some of Analytics. Well, I’ve been wondering about all this for a long time. You made it totally understandable. Thank you!! You’re very welcome. 🙂 I’m so glad it was understandable. I know it can be tricky to understand the difference, since they’re kind of subtle. Very useful info and very well explained. Thanks for this easy to follow explanation! So to follow up, if someone is asking for unique monthly views, are they really asking for “users”? I love this breakdown. I kinda knew but second guessed myself. 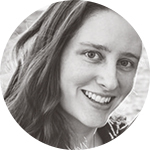 Jennifer Bielman @ Bad Bird Reads recently posted: Bookish Blatherings #26: Who Loves Zombies? I do! I’m glad you like it! I know the differences can be kind of subtle, but once you get it it totally makes sense! Yeah I think sessions are the tricky one for a lot of people! I know how users and pageviews work but sessions was really confusing! Thanks for the info Ashley! I had no clue what a session even but this described it really well! Thanks, Ashley! RO recently posted: DO YOU JUDGE A BOOK BY ITS COVER? I don’t use google analytics so I had NO IDEA about these. Although your explanations make so. much. sense. THANK YOU FOR THIS. Thanks for making the differences more clear. I always wondered if my thoughts were right about sessions. In my recent cases, I had a problem with the services which brought clicks to our website to helps us with Alexa… I had approximate 246’720 Unique page visitor while my real sessions ( I mean all sessions except the fake traffics which was referred to my site ) was 46’280. In this case I choose Sessions as my metering scale to track, but what do you think ? The best explanation i have ever got on these three. Thanks a million. Nice explanation. I understood completely. Thanks. surfing from two days but this post is best I have every read … Thank you so much Ashley… But here I have a question if I have cleared my browser cookies and come back from the same device on same site then the User will increase or not ? Hey Ashley, I love the comment section design – what plugin are you using? Thank you, this definitely helped! I am a new one in digital marketing. I was really confused about user, session or pageviews but after reading this article, I am well confident about their differences. Really, I must say you have explained well that anyone can easily understand what exactly users, page views, and sessions are. Thank you so much! You really describe the metrics clearly! But what still confuses me is the metric “Unique Page view”. How should I understand it? Which is the most important metric?